Throughout England, you will find a myriad of historic cities and landmarks that each have something unique and intriguing that will likely make you want to visit. 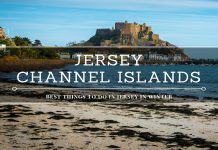 The city of Lancaster certainly falls into this category and following our recent day trip there, we can well and truly attest that this is a place you will not want to miss on your next visit. 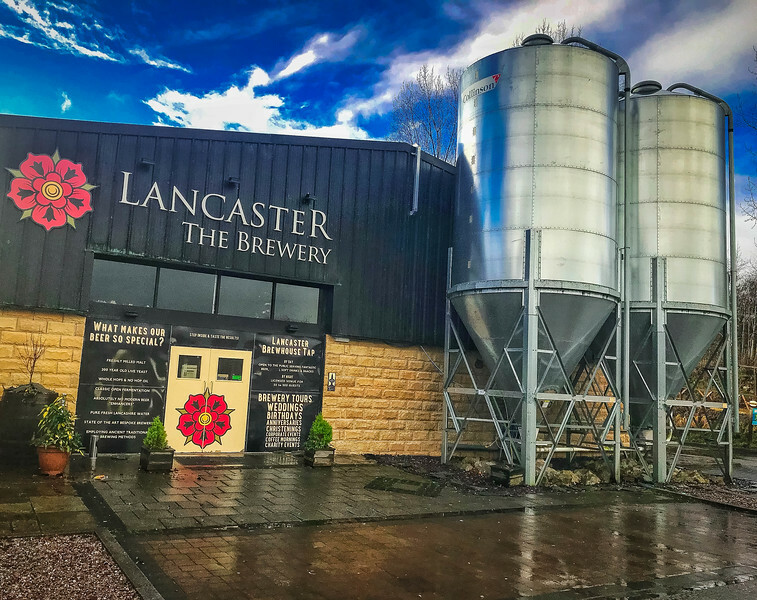 As we look at the best things to do in Lancaster, UK (not to be confused with Lancaster, Pennsylvania) you may want to consider spending longer than one day there but all of these landmarks can easily be experienced in what we consider to be one of the best days out in Lancashire. 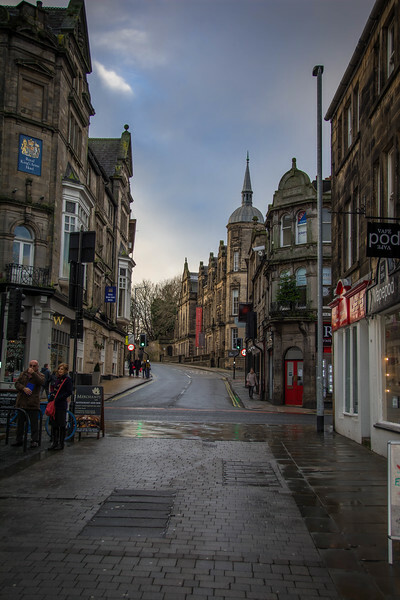 Before visiting Lancaster, it’s worth noting that this is a city steeped in rich history, deep heritage and potentially “controversy” if you believe legendary stories about the county town of Lancashire. More on this controversial reference to “lunatics and linoleum” later but we want to focus on why Lancaster is such a popular city among locals and visitors alike. 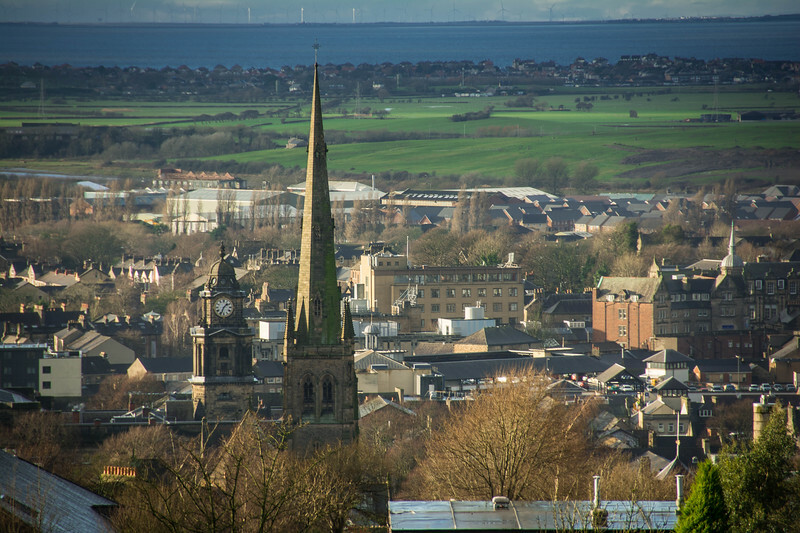 The city of Lancaster dates back to 1086 when it was first recorded in the Domesday Book known as “Loncastre.” Given that this city is located on the River Lune, the first part of ‘Loncastre’ references this river (Lon) and the second part comes from the Latin word ‘castrum’ which means ‘fort’. A Roman fort was built on the hill where Lancaster Castle stands today. You may be wondering where the name “hanging town” came from? Well, Lancaster’s court was based inside the castle and it’s suggested that more people were sentenced to be hung there than any other spot outside of London. And then we have the “lunatics” of Lancaster…ok, so to downplay this a little, the term ‘lunatic’ was a stereotype associated with the city because it was home to Lancaster Moor Hospital until it closed down in 2000. This was a mental asylum located inside a large complex of towering Victorian buildings in the heart of the city. Today, this has been converted into luxury apartments and homes! Can you imagine living in this building with such a tragic background? After seeing how gorgeous the apartments are, I’m sure you could be sold on this idea! The moment you arrive in Lancaster, you quickly realize that your day is about to be action-packed. There is a lot to see and plenty of variety to accommodate everyone’s interests. Whether you are an avid historian or an architecture aficionado, Lancaster will surely have something to intrigue you. 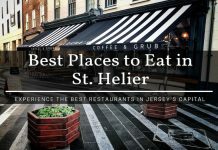 Here are some of the top spots you will likely want to consider visiting and we will go into detail in those highlighted in red based on our experiences there. Where to Stay in Lancaster? Plenty to do and as with most places, not enough time to see everything! 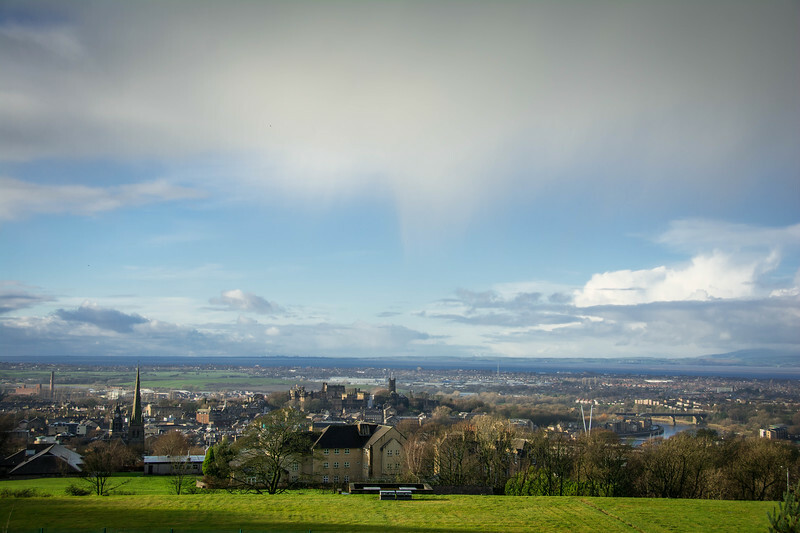 Why not consider staying in Lancaster overnight? Here are some of our top recommendations on the best places to stay! 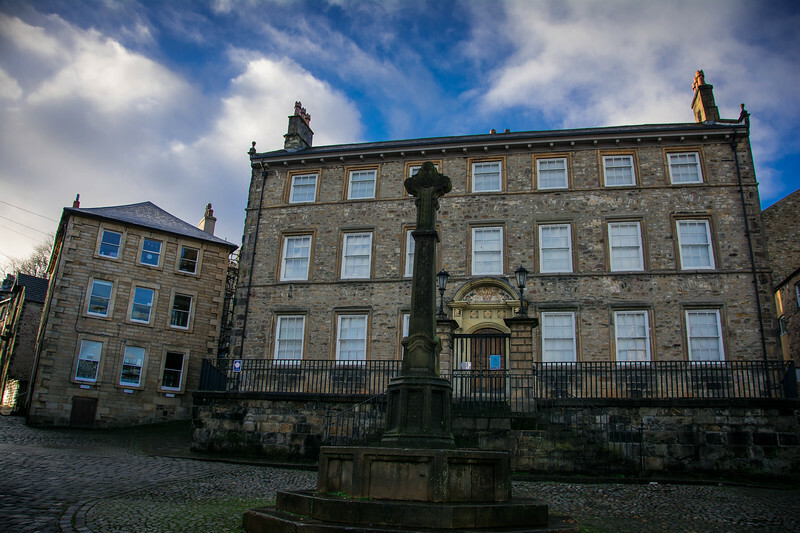 Lancaster is home to a variety of local accommodation options. If you are looking for an authentic and true “Lancastrian” experience during your stay in the northern part of England, I would strongly consider the following choice. The Ashton Lancaster – Dubbed as a “classy retreat with chic rooms,” this luxury bed and breakfast offers an alternative to traditional chain hotels or rooms above city center pubs. This renovated Georgian manor house is now a luxury hotel that anyone staying at while in Lancaster will likely never want to leave. For the latest prices and room availability at The Ashton Lancaster, click here. 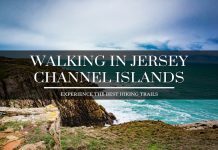 However, we all too frequently fall into the habit of enjoying the benefits of location and even “brand” names so here are some alternative choices if this is more important during your stay in Lancaster. Start your visit to the city of Lancaster by exploring one of the most historic landmarks not only in Lancashire but throughout the UK. 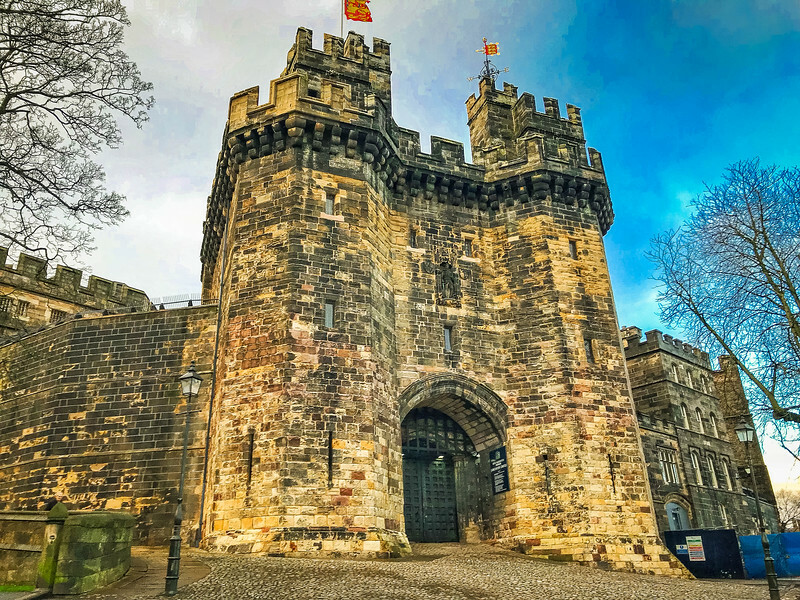 Lancaster Castle is a medieval castle in the heart of the city that dates back to the 11th-century, though exact dates on the early history of this landmark are relatively unknown. It’s thought that the original castle was built on the site of a Roman fort overlooking the River Lune which would align with today’s location. In 1164, the castle was placed under royal control but in the early 14th-century, the Scots invaded England getting as far as Lancaster and destroying parts of the castle. The castle was first used as a prison in 1196 although it was during the English Civil War that this became a critical component. 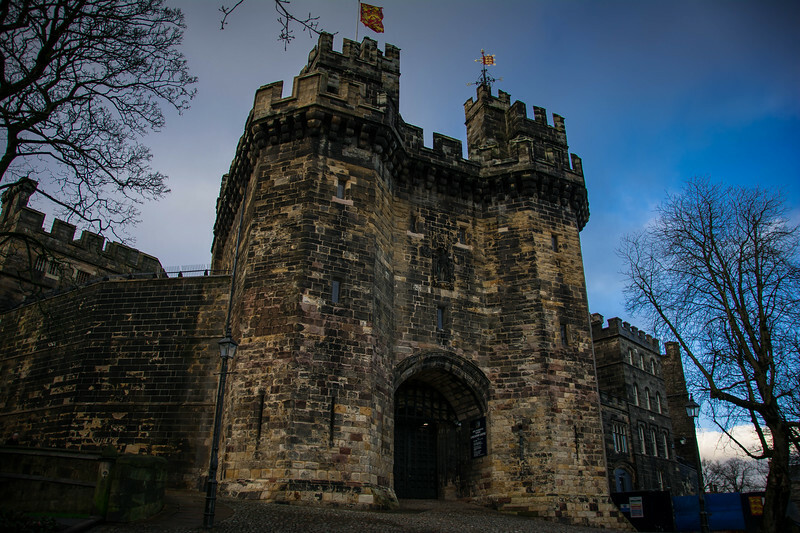 For centuries, part of Lancaster Castle has been home to the county court and ironically it’s here that Lancaster’s stereotype of being a city known as “The Hanging Town” came to fruition. 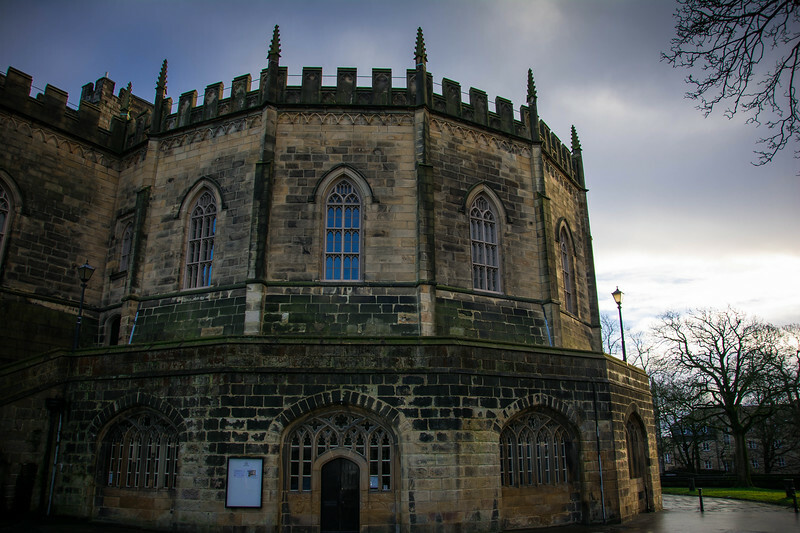 Today, Lancaster Castle is open daily for guided tours and open 7 days a week (only closed on certain holidays such as Christmas and New Year’s Day). If you are interested in learning more and finding out details on tour availability and admission prices, check out the Lancaster Castle website here. 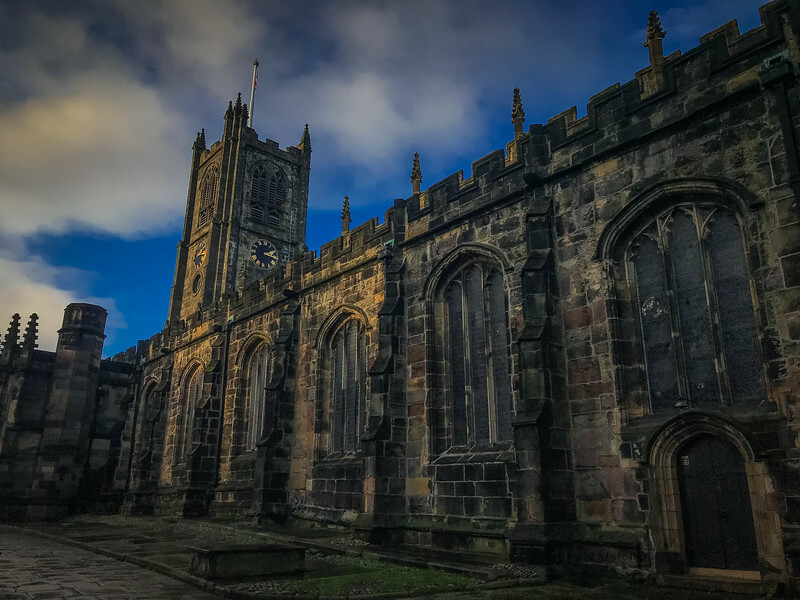 If you choose to visit Lancaster Castle first, why not head next door to the gorgeous Lancaster Priory Church for another journey back in history? Designated as a Grade I listed building since 1953, Lancaster Priory is another unknown quantity in terms of the full history of this site. What was here before the construction we see today? Just how far back in history does this go? It’s thought that a Roman building likely stood on this ground, potentially around the year 200. In 1094, a Benedictine priory was established here, hence the reason it was formerly named Priory Church of St Mary. It wasn’t until the 16th-century that this became a parish church. The gorgeous tower is undoubtedly the highlight characteristic of this church and what you see today was erected in 1759. Take a stroll inside the church and appreciate the beauty of the intricate details throughout the interior. 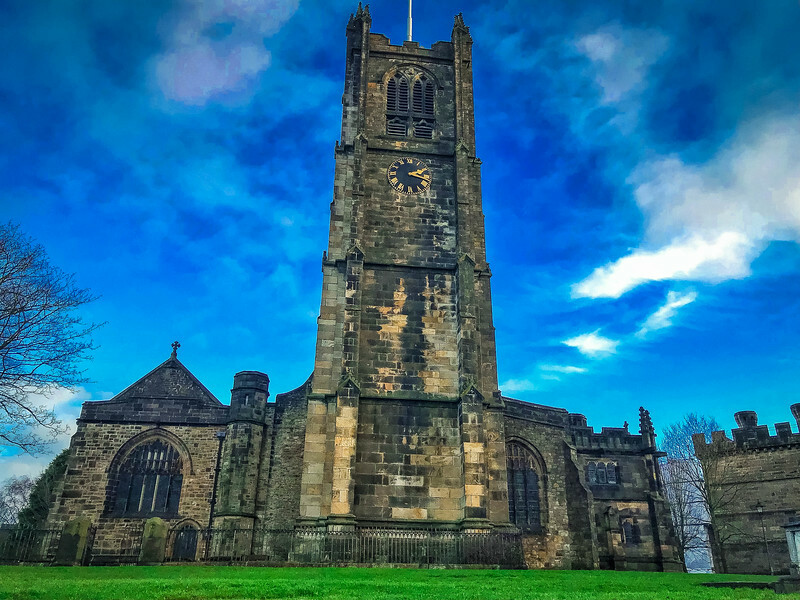 The church holds regular services just like any other traditional Anglican church so depending on when you visit, you may be fortunate enough to experience a local Lancastrian church service with the local vicar. Before heading outside of the city center, take a stroll along the banks of the River Lune to admire some of the modern developments by the quayside. 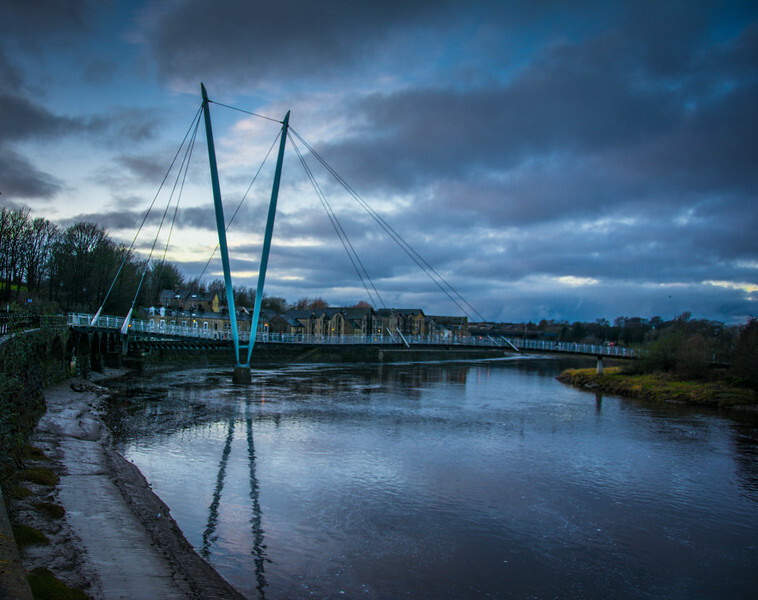 The Lune Millennium Bridge is a pedestrian and cycle bridge while adding character to the area and is certainly a landmark you cannot miss. 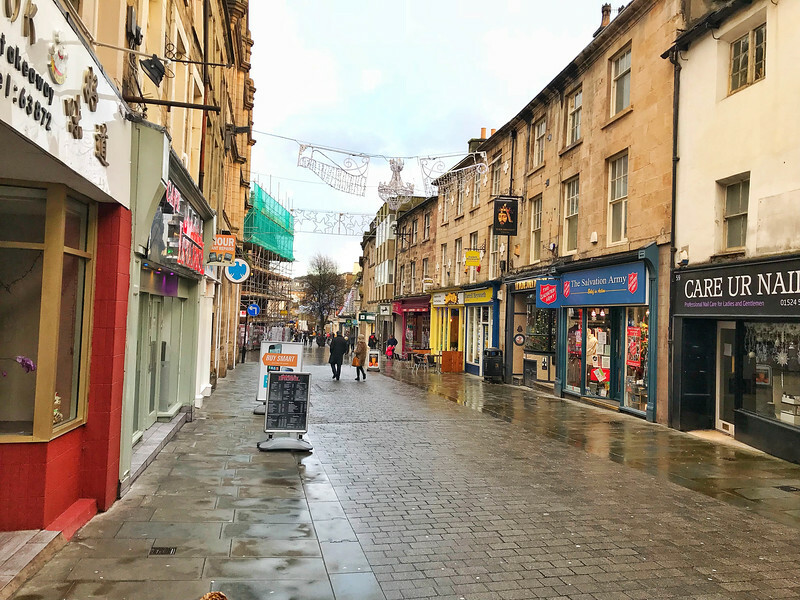 If you are interested in experiencing a little Lancastrian retail therapy, take the short walk from the banks of the River Lune into the heart of Lancaster to enjoy both Marketgate Shopping Centre and St. Nicholas Arcades. Both offer a variety of brand name retail outlets typical of any British city. 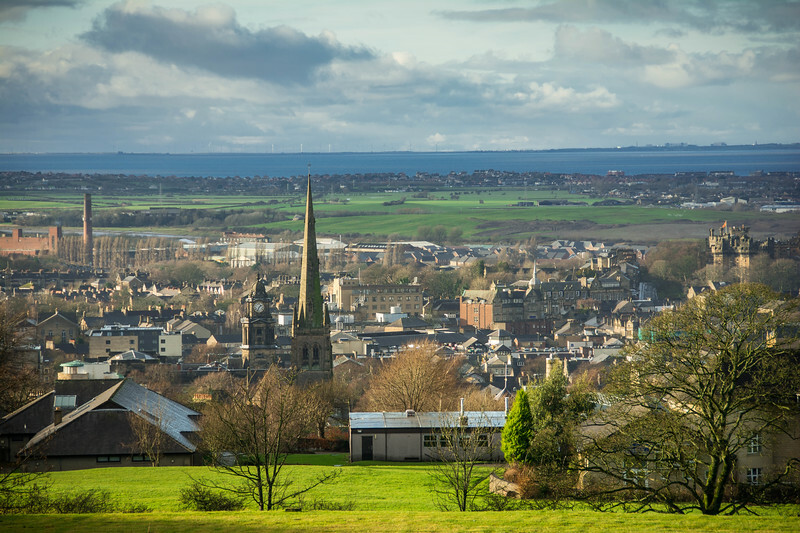 Downtown Lancaster is also an opportunity to hop into a local pub, restaurant or cafe to enjoy lunch while you contemplate the rest of the day exploring this part of Lancashire. 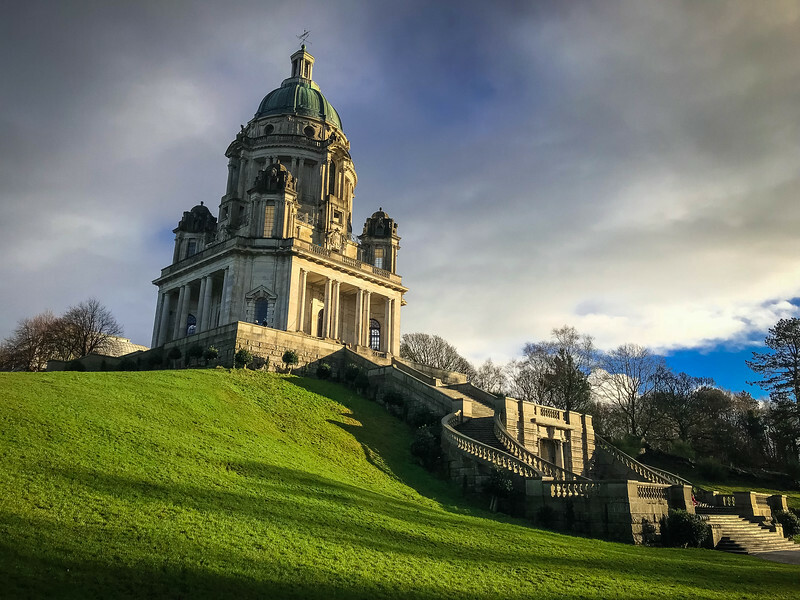 Don’t forget to stop by Costa Coffee to enjoy your favorite espresso and recharge your batteries before heading outside of the city to explore the gorgeous Williamson Park! 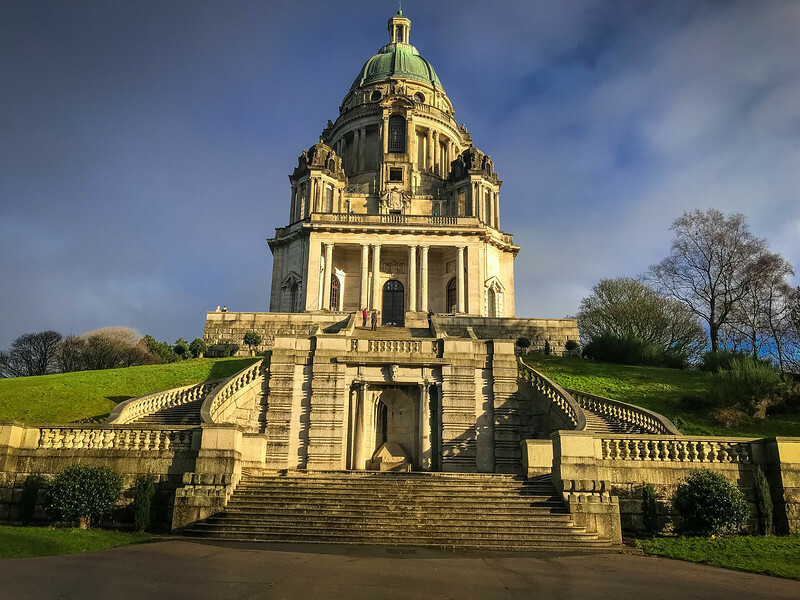 Take some time to get outside of the hustle and bustle of life inside the city center of Lancaster and head to the gorgeous Williamson Park which covers 54 acres of parkland overlooking the city. It’s a pretty steep climb to reach the entrance to Williamson Park, so we strongly recommend either hopping on public transportation (bus) or driving there if you have a car. 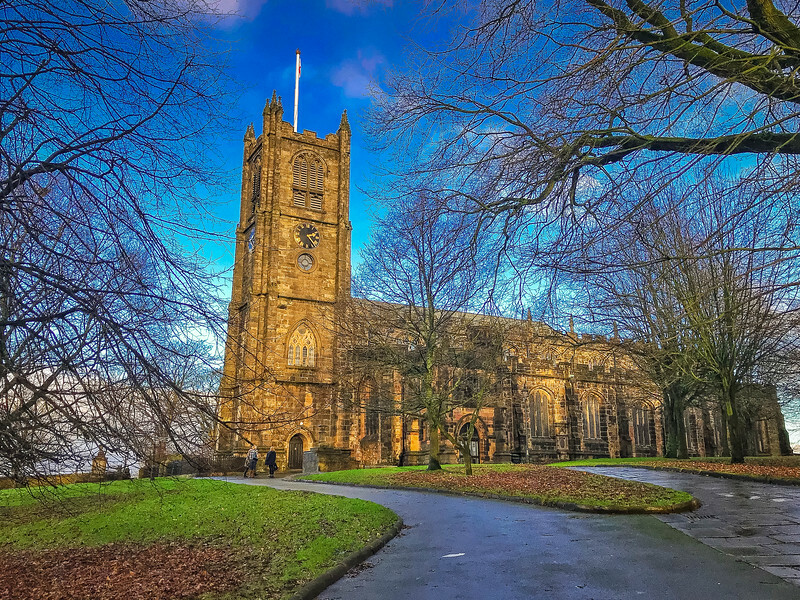 The 2A bus from Lancaster’s bus station will take you relatively close to the park and you can enjoy the walk before you start exploring this spectacular area of green space in Lancaster. 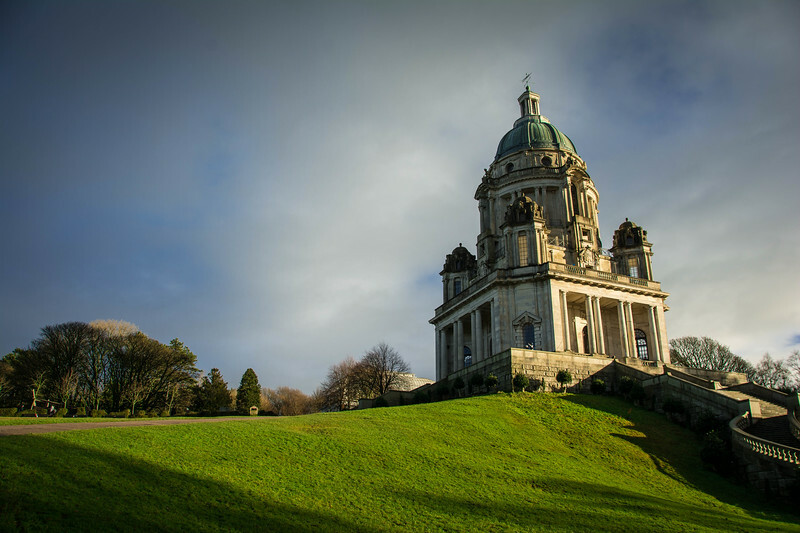 The iconic Ashton Memorial is certainly the focal point inside Williamson Park. 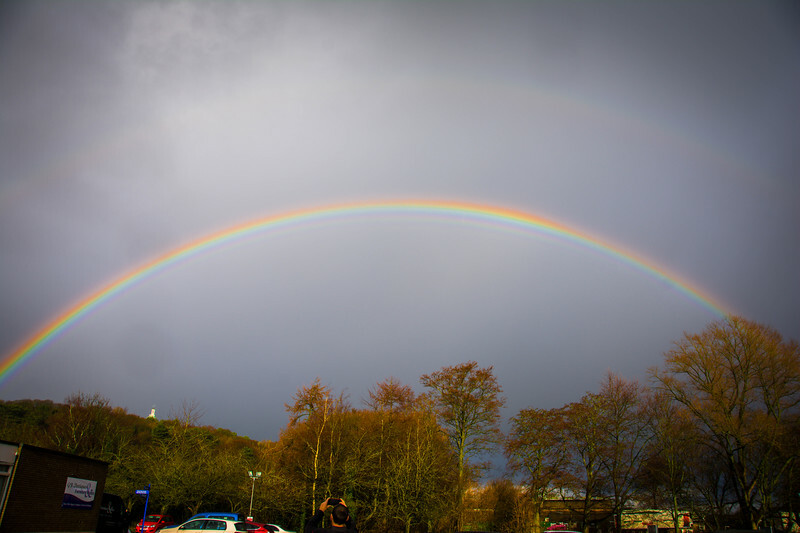 Entrance to the park and Ashton Memorial is free and the only charge is for parking your vehicle or if you want to experience the Butterfly House, mini beasts or small animal zoo (available for purchase inside the gift shop). The Ashton Memorial was commissioned by Lord Ashton as a tribute to his late wife and construction was completed in 1909. Standing at approximately 150 feet tall, this landmark dominates the Lancaster skyline. 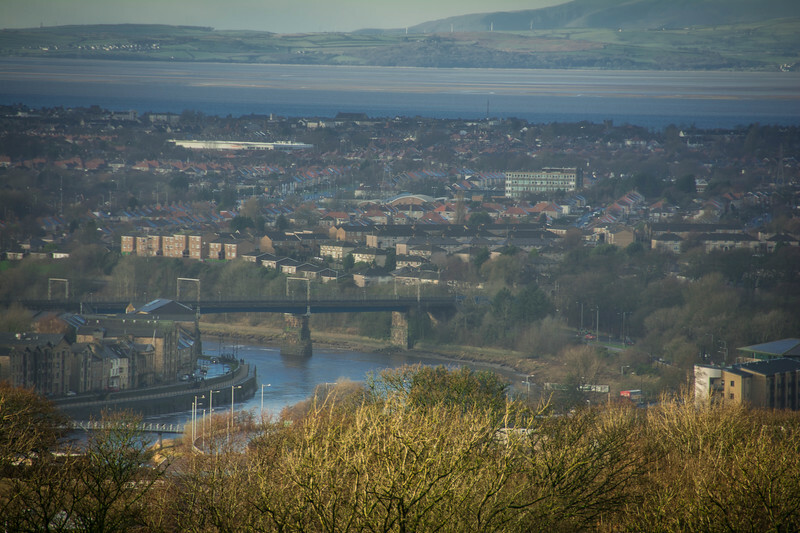 The first-floor outdoor viewing gallery offers breathtaking panoramic views of the surrounding Lancashire countryside and across Morecambe Bay. 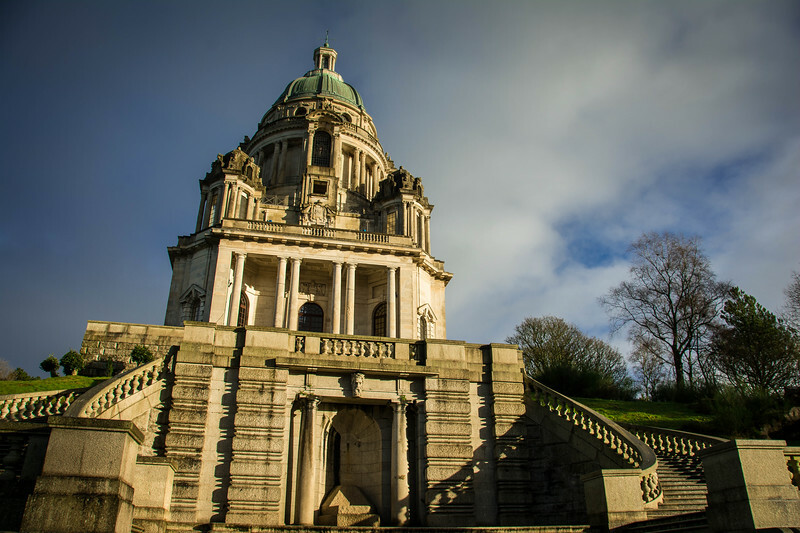 The Lancaster sundial is another iconic landmark inside Williamson Park and just a short walk over from the Ashton Memorial. The sundial is located on a former bandstand and is considered to be an “analemmatic sundial” (this means that the sundial consists of hour points, rather than lines, positioned around an ellipse). You can easily spend several hours exploring Williamson Park and this is a great spot to enjoy the sunset over the city of Lancaster after a long day exploring all of the history around this part of Lancashire. The city of Lancaster really epitomizes not only why Lancashire is such a great part of the UK but also the country as a whole. The connection between history and present-day life is characterized throughout Lancaster as the city embraces the rich heritage that is clearly present. Whether you are passionate about British history or simply enjoy exploring the very best of England, Lancaster is certainly a place that should be on your radar. 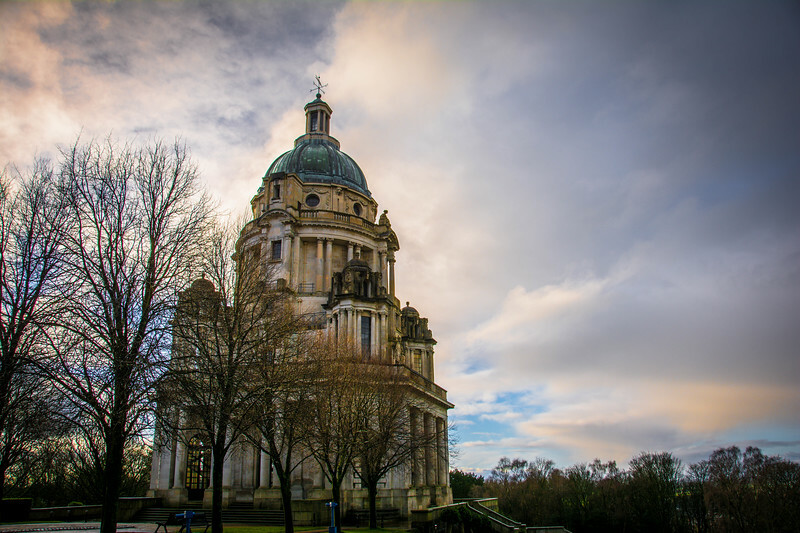 Lancaster is definitely one of the best day trips Lancashire if you choose to explore North-West England but it’s also a great spot if you want to use this as a base to explore further afield such as the Lake District and North Yorkshire. AFFILIATE – This post contains affiliate links. Should you choose to make a purchase via one of our links, we may receive a small commission. 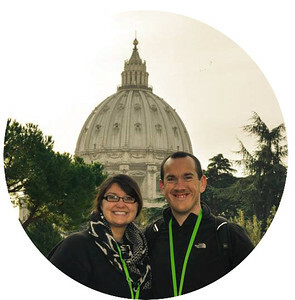 This income helps A Brit & A Southerner continue to explore and share inspiring stories. Previous articleVilnius to Riga – How to Enjoy a Weekend Trip in the Baltics?